It is very common to have your eye twitch, but it is common not to know why it happens. It comes out of no where, as subtle as it may be, it is distracting and annoying. You just tell yourself “this will not last forever,” and you just move on with your day. Our Fishers Optometrist wants you to know that you are not alone. This spasming is is caused by your eyelid muscle twitching. These spasms can occur multiple times in a row as well as stop and start again later on that day, and our optometrist wants you to know that you are not alone. There is a term for these eye spasms, known as myokymia. According to JP Maszczak , O.D. the assistant professor of clinical optometry at Ohio State University College of Optomerty, this is caused by misfiring neurons to your eyelids that only appears a few times during ones life. Understanding these eye spasms do not make them any easier to get over. Like any other annoyance, you want to be able to do what you can to avoid it happening again. Here is the best place to learn, from our Fishers Optometrist, about these spasms and how you can prevent them. 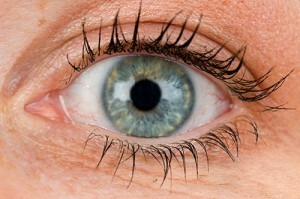 Eyelid Infection- An Eyelid inflammation can cause eye twitching. This condition is known as blepharitis. Blepharitis is caused when bacteria gets underneath your eyelids. This bacteria causes inflammation and redness which can cause spasms. To get rid of this bacteria, our optometrists say, you can hold warm water over your eye for a few minutes for a few times a day. Stress- Stress can cause your body to release different types of adrenergic chemicals, such as adrenaline and cortisol. These chemicals trigger your body’s flight or fight responses which can cause your muscles to be sensitive. This irritability and sensitivity can cause your eye to twitch uncontrollably. The best way to destress your eyes is to close your eyes, take deep breaths, and relax your whole body. Chocolate and Caffeine- Caffeine can cause jittery feeling in multiple places in your body, whether it is your fingers, arms, and legs. This caffeine can cause hyperactivity of the muscles and nerves around the eyelids. This hyperactivity can lead to twitching of the eyelids. There are many things that stimulate your nervous system that can cause itching. The best way, from our optometrists, to be able to cut down on eye twitching is to cut back on your chocolate and caffeine intake. Exhaustion- Everyone has a sympathetic nervous system which helps with your involuntary actions, such as breathing, digesting food, blinking, and more. With your eyelids being connected to these involuntary actions, when you are tired the symptoms of eye spasms can become more apparent. 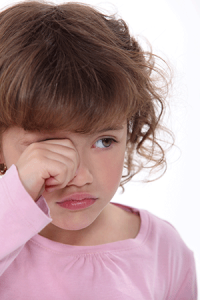 Our Fishers Optometrist believe that the easiest way to cure this eye twitching is by getting more sleep! There are many reasons to visit your optometrist, whether it was for your last checkup or if you need to get a new pair of glasses. We are here to help you with your next comprehensive exam. Our highly trained optometrist will be there to give you the personalized service that you need. We want you to feel at ease when you visit Dr. Amy Walden and Associates’ Fishers location. We have been serving patients in the Fishers area for over 20 years. Our state of the art location has all of the most advanced technology, such as CLARIFYE. We are one of the most premier eye care centers in the Fishers and surrounding areas. Your overall heath care and vision health is very important to our Fishers Optometrist. We are able to test for a wide variety of diseases such as glaucoma, cataracts, diabetic retinopathy, and age related macular degeneration. We can also help you with allergies, eye glass fittings, contact lens fittings, and Lasik surgery. We are located at Hamilton Town Center in Fishers right off of Interstate 69. We are easy to get to from any area of town. We look forward to meeting with you to help you all of your eye care needs. You can schedule a consultation online or call us at 317-770-1633. Before visiting our location, you can take a look at our list of insurance providers to be sure that a portion or your full visit is covered. Do you have any questions prior to your visit? We have a list of Frequently Asked Questions to help answer any of your reappointment questions. We look forward to meeting you, and helping you with all of your vision needs!